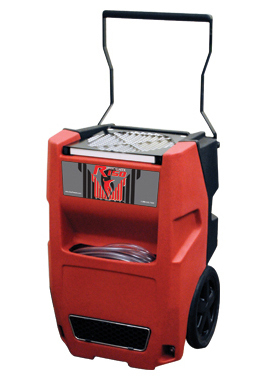 With water removal of 75 ppd@AHAM, using 5.5 Amps and weighing in at a mere 82 lbs., the new Phoenix R150 LGR dehumidifier packs the performance of a “Large” dehumidifier into the smallest, lightest, and most portable chassis in the restoration market. The R150’s patent pending GTRTM technology will allow the restoration professional to achieve maximum water removal and grain depression, even in higher temperatures without any manual adjustments to the unit (up to 110oF). 5.5 Amps. 115 Volt/60 Hz. 82 lbs.